Bite into bright, blood-red cookies that look like luscious vampire lips. The sweet sugar cookies have a hint of cinnamon and the fondant fangs contrast the color of the chewy chocolate caramel candy. 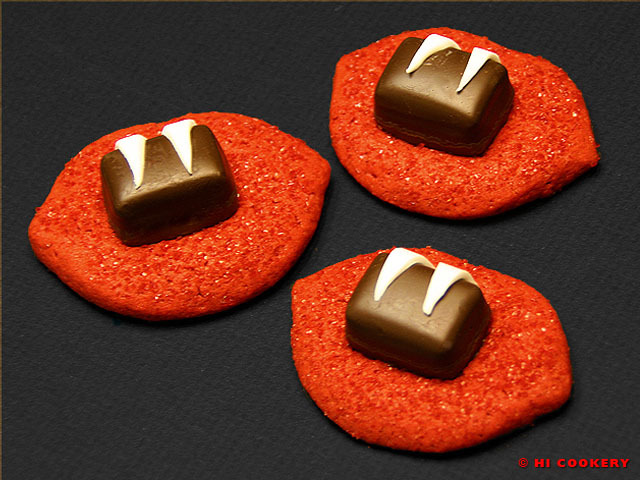 These cute cookies are a distinctively delectable Dracula-themed dessert. 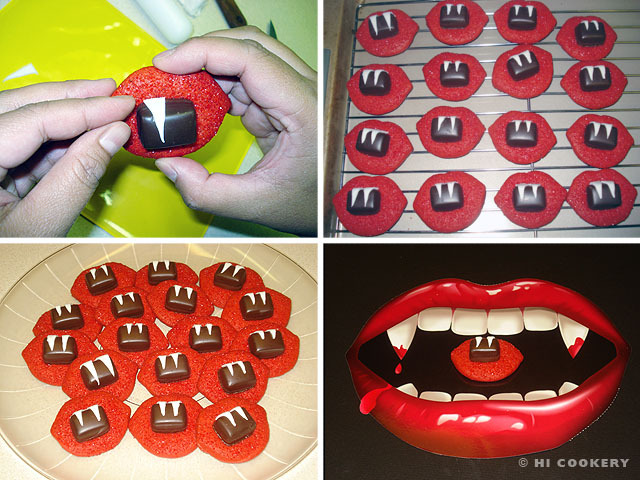 Bake a batch of vampire bite cookies for scary movie nights and for Halloween parties. Unwrap all the chocolates and set aside. In a mixing bowl, combine the flour, baking soda and cinnamon. In another bowl, cream the butter with the sugar. Beat in the egg. Gradually add the flour mixture and blend until smooth. 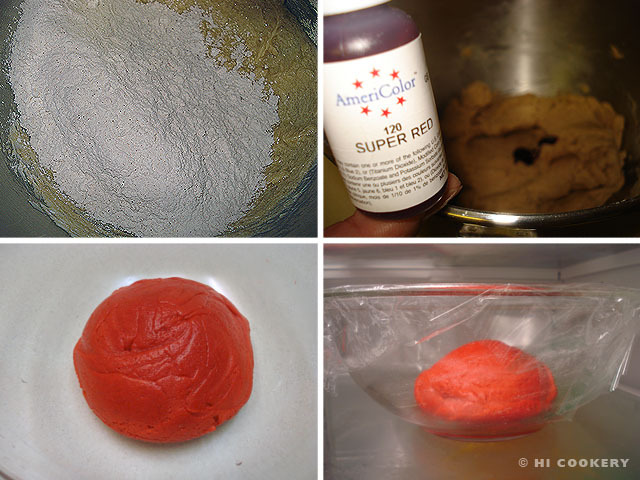 Tint with red food coloring. Shape the dough into a ball. Cover and refrigerate for at least two hours. Remove the dough from the refrigerator and divide in half. Place the other half of the dough back in the refrigerator while working on the other half. Shape into a flat disc. Place between two sheets of waxed paper. Roll out to ¼ inch thick. 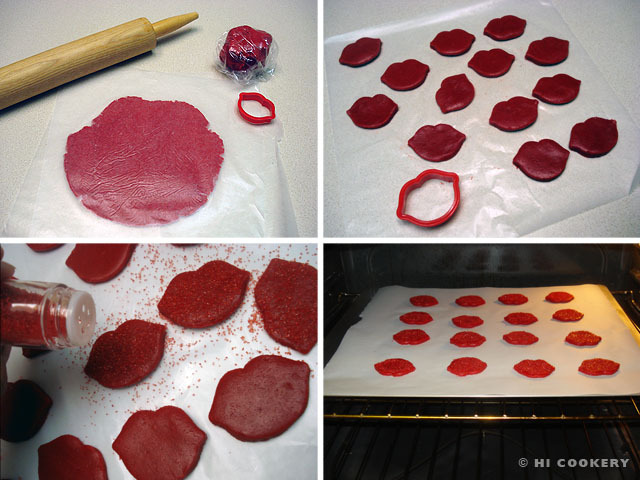 Use a lip cookie cutter to cut out shapes (or use a knife to free-form lip shapes). Refrigerate the lip shapes while working on the other half of the dough. Repeat by re-rolling dough scraps, if necessary. 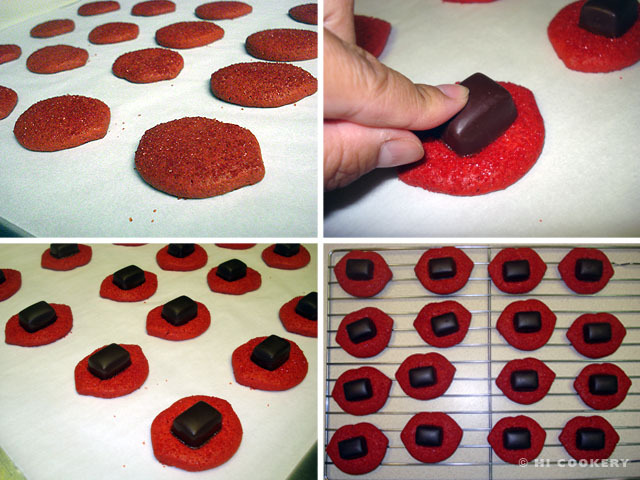 Sprinkle red sugar crystals on the lip-shaped cookies. Place on a cookie sheet lined with parchment paper. 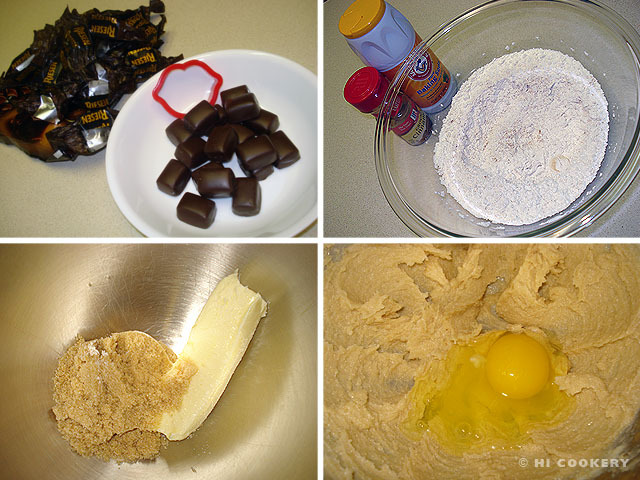 Bake about 7-8 minutes (do not overbake or the cookies will be too hard) in a preheated oven at 375 degrees F.
Remove from the oven and quickly press a mini chocolate caramel candy in the center of the cookie. Place cookies on a wire rack to cool completely. Roll out a small piece of white/vanilla fondant. Slice tiny triangles into fangs. 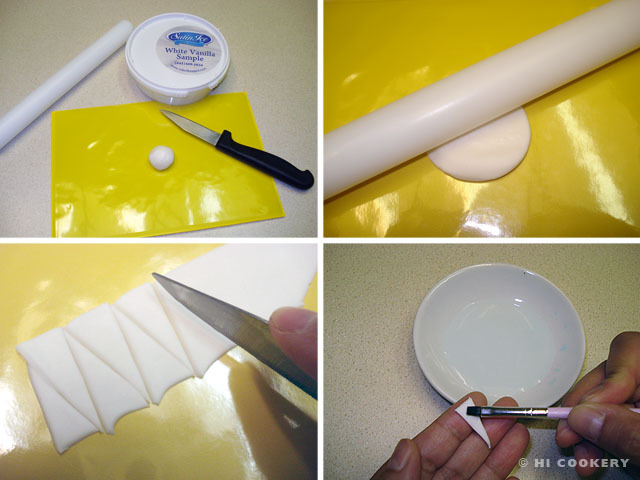 Use a food-safe brush and use water as an adhesive on one side of the fondant fangs. Position two fangs on top of the chocolate. Arrange cookies on a platter and serve. Yield: Varies on the size of the lip-shaped cookie cutter (we used a 2-inch cutter, which yields about 2 ½ – 3 dozen cookies). For another Dracula-theme dessert, make Vampire Bite Cupcakes. The cookies tend to puff up slightly when baking. For a more defined lip shape, outline the edges with red gel or cookie icing. If fondant is not available to make the fangs, simply substitute white icing and pipe sharp teeth shapes over the candy. Thanks to Margarita F. of M5 Cake for letting us borrow the lip cookie cutter for this blog recipe post.